Warmaster is all about Horus Lupercal, Primarch of the 16th Legiones Astartes, the Luna Wolves, and formerly the Emperor’s most favoured of all the Primarchs. It has been a long time since we got anything in the Heresy series that was directly from Horus’ own viewpoint. I struggle to recall anything after Ben Counter’s excellent Galaxy in Flames, the third novel in the series. 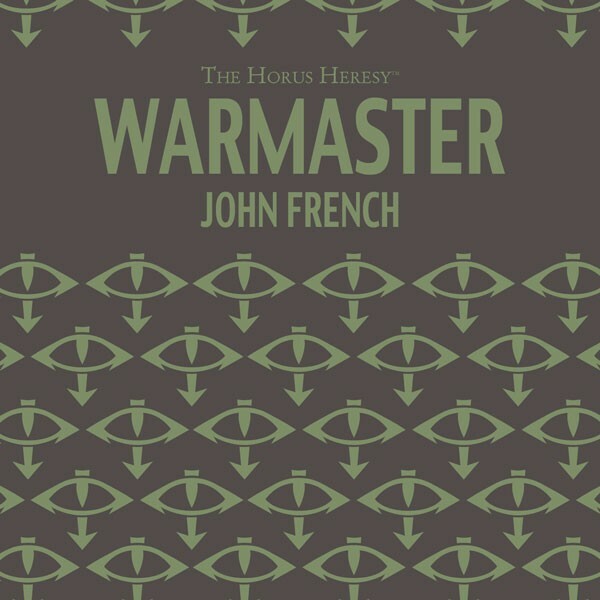 As such, Warmaster is amazing because of that sheer unique quality, not that John’s writing is anything to scoff at. This is a short audio drama, just nine minutes long (or thereabouts), and is performed by Ramon Tikaram as Horus, Toby Longworth as various voices, and Tim Tralor as the narrator. Ramon continues to impress with his voice-acting (various voices and narration in Grey Angel, also by John; a Custodian in Sword of Truth; Rogal Dorn in Burden of Duty), although I wish that he had a bit of a unique voice here for Horus, who is like the most important character in the entire series! Ramon’s voice is a little too similar to the others he has done so far, and that bit of variation would be really nice. Toby’s various voices are part of the holo-reports that Horus listens to and watches over the course of the audio drama, so he doesn’t have much of a job here. Another thing is that his bits are not very clear, at least not in the copy I have. Tim Tralor has done Deathwatch: Mission Purge by Gav Thorpe before, where he performed one of the Space Marines. It was interesting to hear the variation in his voice this time: less aggressive, and more… grand. Nice touch. Horus’ ruminations on how the Heresy is progressing were really interesting. An almost different side to Horus is emerging, one that is becoming cynical of what he has brought about, and perhaps even despises now, although he is completely committed to the course that is set. To listen to Horus’ thoughts (voiced out of course to a most entertaining audience that will surprise the hell out of you!) was like hitting pay-dirt. I really want more! All of John’s work for the Heresy has been near-stellar, and this is just another example of that! Recommended listening! Posted on December 16, 2012, in 2012 Reading Challenge, 2012 Writing Challenge, Book Reviews and tagged Advent Reviews, Audio Drama, Audio Review, Black Library, Horus Heresy, Horus Lupercal, John French, Science Fiction, Warhammer 40k, Warmaster. Bookmark the permalink. 6 Comments.